Novices always wonder how to snag press trips for travel writers. 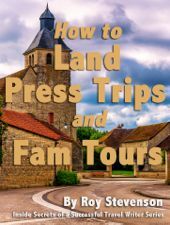 Once you have a few print and online travel bylines under your belt, and you’ve landed some local FAM tours, it’s time to move up to national or international press trips. These trips are the prestigious glamour gigs that we all covet like the Holy Grail. They are much sought after. With press trips you are the guest of the tourist bureau of the region, state, or country you are touring. Public relations firms representing tourism boards and hotels and resorts also host trips. Some tourism bureaus offer comprehensive, all-encompassing tours that take in most of a country’s main tourist attractions. Other tours are themed or specialty niches such as culinary or cultural tours. Typically, your hosts pick up all travel expenses—including your airfare. Although there are several types of press tours, they essentially follow the same format as local and regional FAM tours. The only difference, really, is that we tend to refer to national and international travel tours as Press Trips for travel writers. 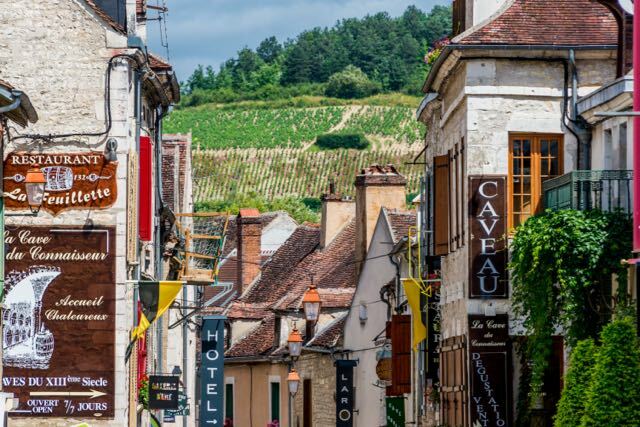 A wine village in France that we visited while on our luxury barge cruise. 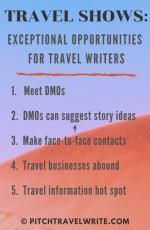 Generally, to qualify for a trip, freelance travel writers are required to have at least one assignment with a high visibility print or online publication. The tourist agency wants you to deliver one (or more) widely read stories about the trip in order to get invited. These can be print or online assignments, but the outlets must be respectable. It’s up to the tourist agency to decide what is “respectable” and what’s not. In my experience, getting an international trip without a letter of assignment is almost impossible. 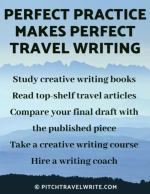 Very few travel writers are invited on trips “on spec” unless they’re at the very top of the travel writing pyramid and have a reputation that precedes them. Invitations to Press Trips for travel writers are more difficult to obtain than an invitation to a regional FAM tours. National and International Press Trips hold a higher status and value. There’s more competition for them. Tourist bureaus can afford to be selective about who they choose to invite on the trip. Seasoned travel writers with access to editors of high profile, larger circulation magazines often get first priority on these trips. You might also find magazine editors and guidebook writers on these trips. Because freelance travel writers have more difficulty qualifying for and getting accepted for national and international press tours, I’m a big believer in producing multiple stories about the destinations. This way the tourism agency gets a better return on their investment, and it’s easier to sell yourself and what you have to offer. My strategy is to pitch all magazines that might be interested in stories about the destination, and secure a spot on the tour by having multiple magazine assignments. That way, even if you don’t have an assignment with a high profile travel magazine, you can still get invited because you multiple assignments in lesser publications. You're still getting the word out to a large audience. To qualify for a press trip to Belgium I was able to offer their National Tourist Board rep three print articles and one online article — more than enough to secure a VIP seat on a wonderful gig! A good goal is to line up one or multiple publications with a total circulation of 100,000, or more. How do you find out a magazine’s total circulation? Check with the magazine’s editor to verify the circulation of their publications so you can present your case. What if you're lucky enough to be invited on a trip without an assignment? 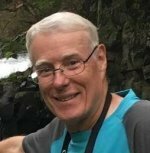 My advice is: don't take the trip unless you're absolutely sure you can produce at least one article after the trip in a respectable publication. Press trips for travel writers come with a qualification to write an article. Writers who take press tours and then fail to deliver anything cause harm for themselves and for other travel writers. They ruin their chances to be invited on another press trip by that PR company. And, they make tourist and PR companies cautious about working with other travel writers. Please, always deliver on your promises. Locating press tours is half the battle. Once you figure out how to get invited, going on them is a breeze. Many international tourism agencies organize trips for press every year. It could be a trip around their country, or to their major cities. The trips can be themed (culinary, cultural, architecture, etc.) or general roundups. Many tourism agencies work through their embassies and some work independently but practically every country in the world has a PR/media rep in the U.S. Select the countries where you have viable and matching outlets. Visit their websites and find the media and press contacts in the U.S. Contact them and request your name be placed on their press list for consideration for future organized trips. 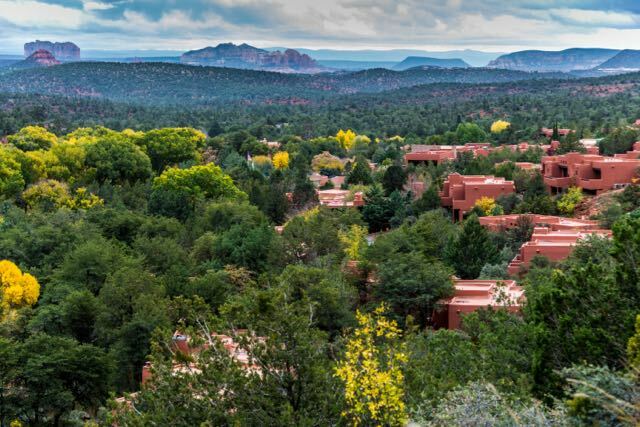 Sedona, Arizona and Enchantment Resort in autumn. The world’s largest online news portal for travel media and industry professionals is TravMedia. 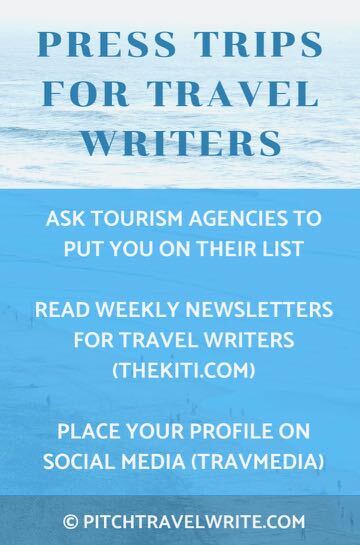 It’s a free medium for linking up tourism PR’s/ media reps with travel journalists — and it’s a darn good resource. TravMedia site has been a gold mine to me. I scored some great assistance with Balinese luxury resorts and boutique hotels, plus assignments with several prestigious cruise line on-board magazines, from listings found on TravMedia. Once you place your profile on TravMedia, you’ll receive a weekly newsletter with the latest announcements from CVBs, tourism agencies, national tourist reps, cruise lines, hotels, resorts, tourist attractions, etc. Editors often post requests for special articles here. You’ll also receive press trip notifications. Tourist destination PR’s can “follow” you, similar to other social media like LinkedIn. You can contact any of TravMedia’s listed tourist agencies at any time with requests for assistance with your trips. To get on their press list, visit the TravMedia website and set up your profile on the media list, along with your photograph. You will receive a weekly newsletter packed with great information.